What has two wheels, two legs and countless hours of fun? 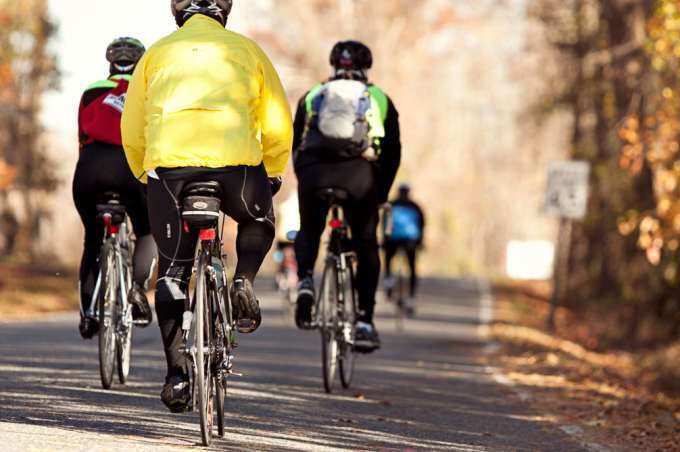 You – when you enjoy a summer bicycle ride in Chesapeake. This time of year, the weather is perfect for friends and family to come together and cruise along some of the city’s most scenic routes. Cycle your way across the South Norfolk Jordan Bridge. The walking path on this modern marvel of engineering has become a hotspot for cardio enthusiasts. Peddle along at a steady clip as the bridge’s 5% incline brings you 169 feet above the water below. Want to track how much ground you cover? Going across this “tallest bridge in Hampton Roads” and back is one mile flat. If you prefer to cruise through Chesapeake’s great outdoors, the Dismal Swamp Canal Trail and Northwest River Park are just your speed. The Great Dismal Swamp Canal Trail is 8.5 miles of flattened terrain taking you through some of Chesapeake’s untouched nature. Take your time and try to spot one of the migratory birds the trail is famous for. Northwest River Park has several lakeside and island-crossing bike paths that you won’t want to miss. With campgrounds and tons of activities on-site, you might even want to make a weekend of it. Biking isn’t just a great form of exercise and awesome way to connect with nature – it’s also a cost-free way to get out and about with the people that matter. Chesapeake is the perfect place to go wheels up. Let the moments begin.